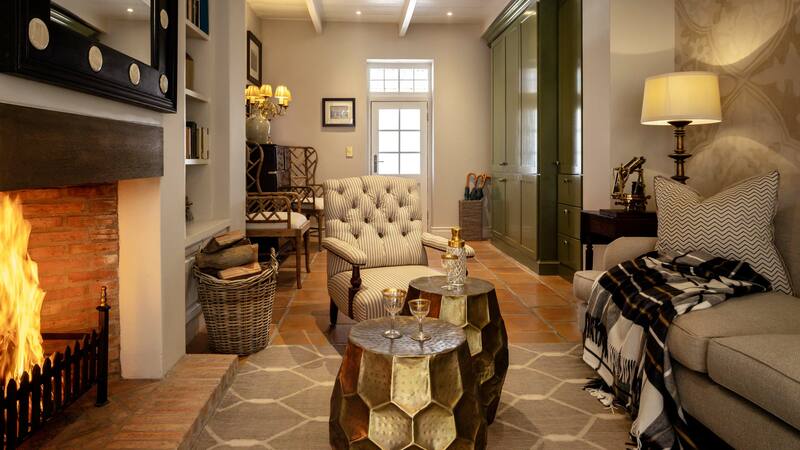 Oortuiging is our historic Cape Dutch cottage. 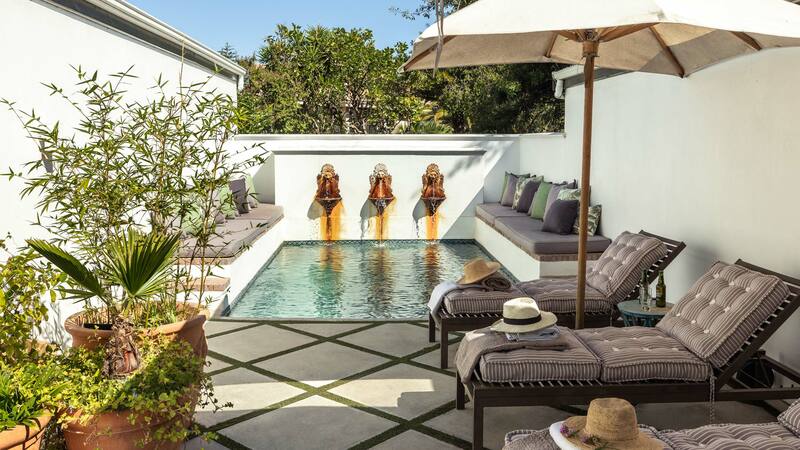 It is both private and luxurious. 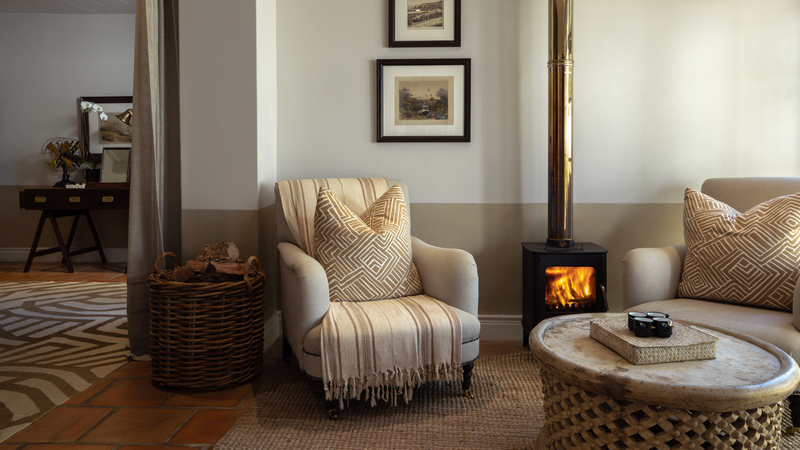 The cottage was built back in 1865 and was used as an army recruiting office during the Boer War. 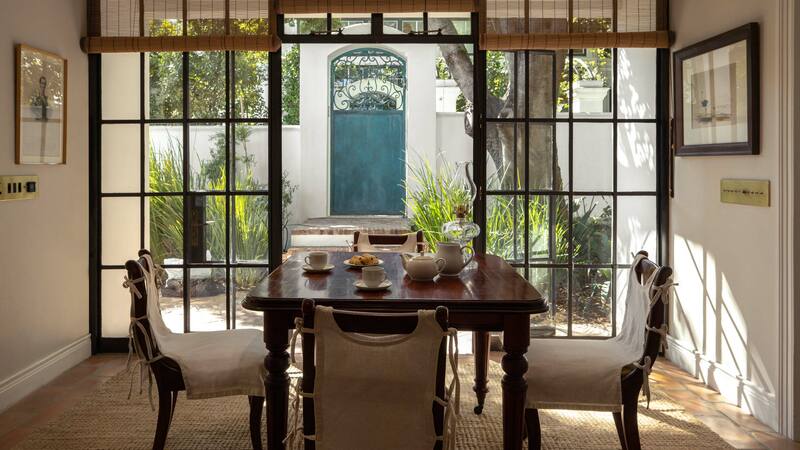 It is decorated in a “campaign style” in keeping with the building’s history and includes two one bedroom suites, and an open plan living space with a cosy living room, kitchen and dining space. 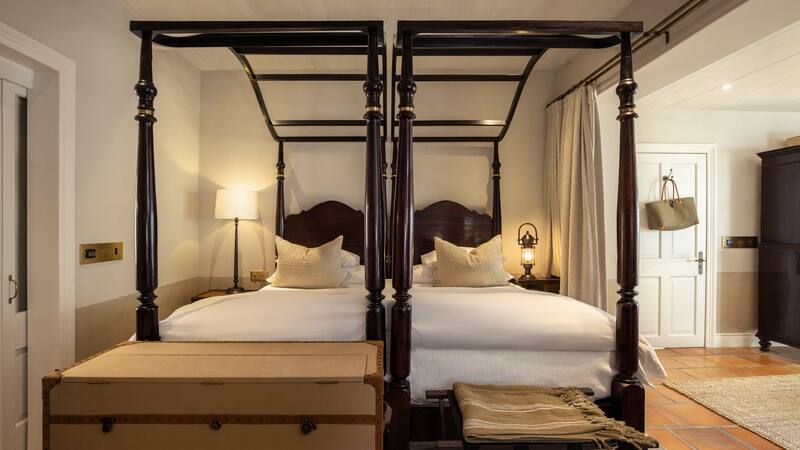 The cream and tan interiors provide the perfect backdrop for the dark, decadent wooden canopy beds, antique furniture and free standing hand made copper baths. 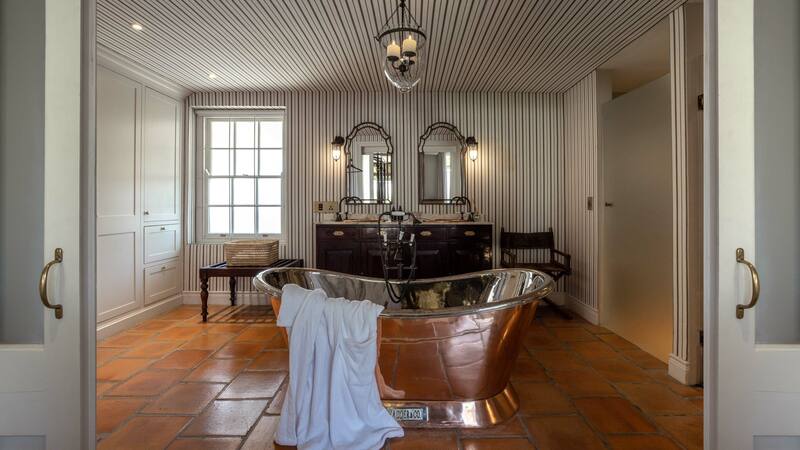 Underfloor heating and private wood burning hot tubs deliver the remaining touches to this most elegant cottage. 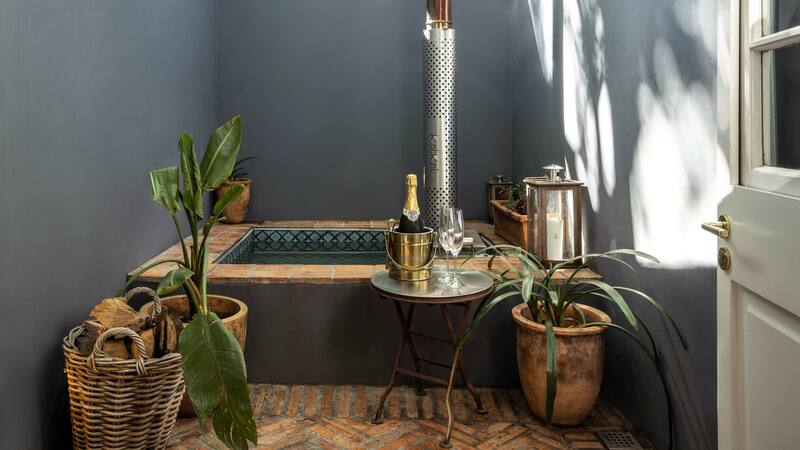 Oortuiging also boasts it’s own street access, and a private courtyard with a moroccan mosaic plunge pool, in which guests can cool off in the sunshine.